Chains That Bind Can be Broken – Muslims Can Be Free – Wake Up! Wake Up! To not know Jesus is to be chained. It is as being in a straight-jacket incarcerated in the world, having no hope of getting out. The world becomes a meaningless prison without the joy and hope the Lord provided. Even if as the Jew or Muslim the concept of Original Sin is not accepted, sin exists in all of us. It is the Bad News. We cannot avoid temptations. Our heart needs to change. The chains that bind us to the evil the world makes readily available must be broken. Jesus took those chains we all carry and freed us, he suffered all that could possibly be endured to ensure the punishment of the sins of mankind was complete and forgiveness was a direct result, from God incarnate. To free yourself of the shackles of a meaningless life, to find purpose, discover the sacrifice Jesus made for you. 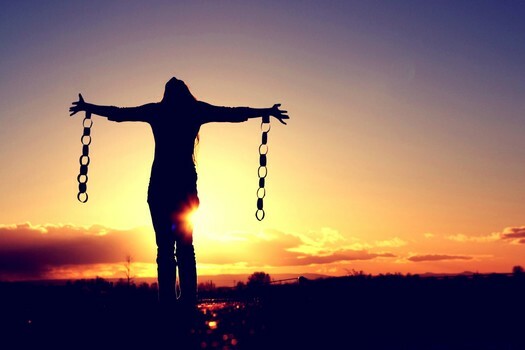 You too will be free of the chains that bind you to temptations, to false teachings, and to false ideals and open your mind, heart and soul to the teachings of the Lord. The Islamists that are spreading their demands forcefully in areas to include Palestine (Hamas), Iraq and Syria (ISIS or The Islamic State), Afghanistan (Taliban), along the northern coast of Africa – Libya, Algeria, Mali, and Nigeria (Boco Harum), and other places where offshoots of the Muslim Brotherhood and Al Qaeda enter the scene and impose their interpretation of Islam on the populace, as Islamic Police, are more as Dog Catchers corralling men, women and children into cages. Muslims under the dictates of the oppressors, since the time of Muhammad, are chained. They can free themselves. It takes courage indeed. Understanding Islam through the eyes of the scholars, the ulema, is limiting. The individual must first give up their rights as a person. They then accept only what they are told, what the Quran tells them, and what Allah would want. To go against any of that, or even question any of that, makes you a bad person, subject to punishment. Where is the love? Where is the hope? Where is the Joy? The love a parent has for a child in Islam is stronger than the love Allah has for a Muslim. Unless. It is conditional. If a Muslim loves Allah then Allah loves the Muslim. But what about being forced to love Allah, or thinking you should love Allah as it is the cultural thing to do, it is what you are told to do, it is what your peers say you should do. But that is do, do, if what you do you do not from your heart, but under pressure. Brainwashing can cause people to do things they would not consciously do. If an individual is not free to think, to consider, to doubt, to question and to seek answers, then there is no freedom. It is no different from being chained to a wall. Kept in a cage. What is the joy in that. Freedom is provided by God. God gave mankind Christ so we can be free. As only God could do, he came to earth in human form (so we would not be afraid) to make himself known to humans, to let us all know a relationship with the Divine is possible. What punishment the Islamists are always shelling out for not being a good Muslim is being left to God, on Judgment Day. You live a life for God because that is what you want to do in thanks for being saved. Police are not there to enforce God’s Will, but to insure the common good is considered, protecting your home, your person, your property from the evils of others. That is the role of government. When man attempts, as does the Islamist, to dictate for God (in their case Allah), they are blaspheming the Almighty. God will take care of those he knows when the time comes. He does not need humans to do it. Discover the Blessings Christ poured out on those who choose to accept his sacrifice, the punishment he bore for our sins, and see the chains drop from your wrists, the shackles from your ankles, and the scales from your eyes. The light that will shine upon you and the spirit that will fill you as your heart beats for God will fill you to overflowing with the joy and hope of a life eternal.